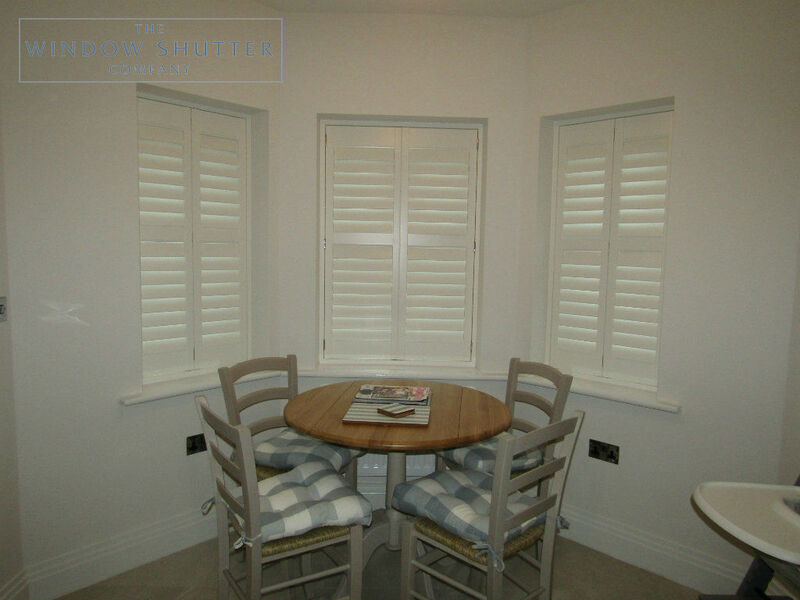 We are often contacted to help find a solution for dining room shutters at the front of a property. 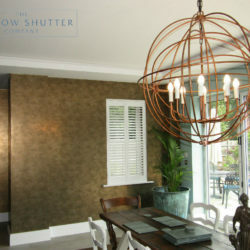 The main aim is to provide privacy from the street whilst not compromising on light in the room. 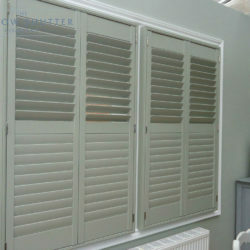 Shutters are an ideal solution in this situation. 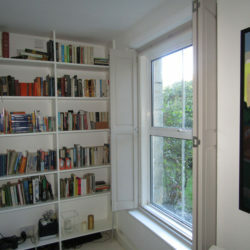 Especially when the room has a street facing bay window. 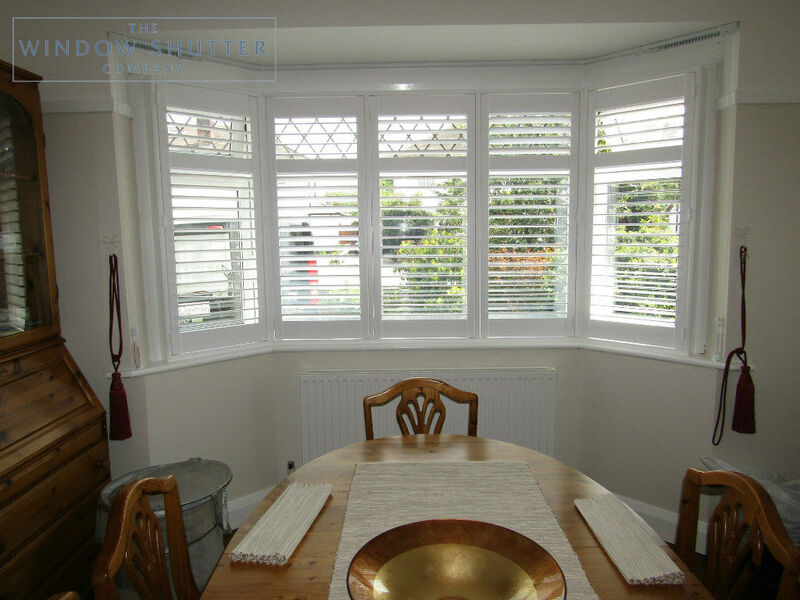 Shutters will follow the line of the window and replace outdated net curtains. 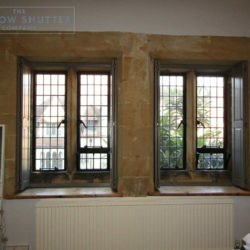 They will provide adequate privacy and allow the most flexible light control of any window dressing. One of the main issues with a dining room is it will be in use late in the day for dinner. This may require a light to be turned on. When the room faces the street, turning a light on will leave the room exposed to the outside world. 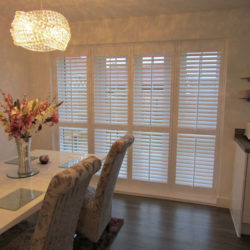 Shutters ensure that you can maintain privacy all year round. You can make use of any late evening sunshine, even if you need the additional light inside. 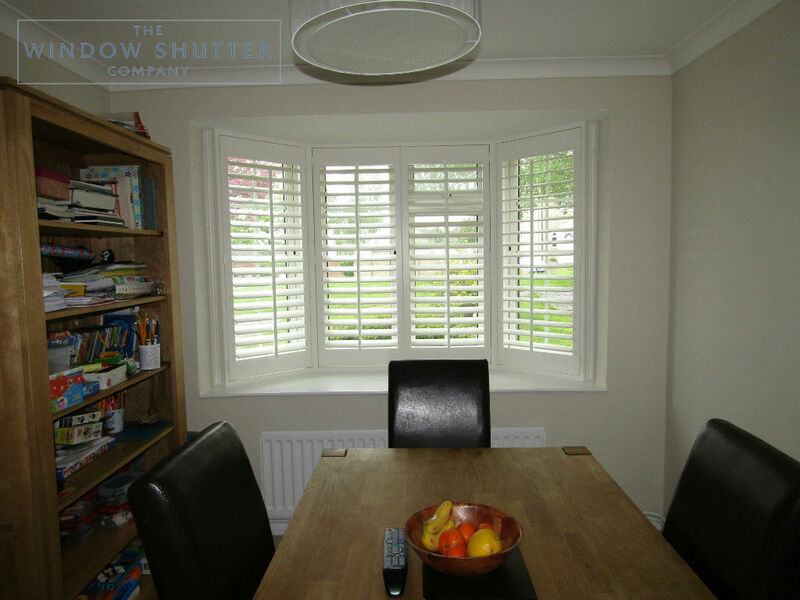 Privacy and light control are key benefits but shutters also add a stylish and bright finish to the room. And they will make the room feel bigger. 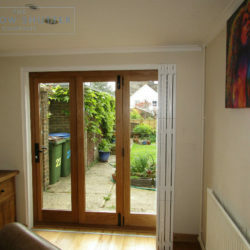 This is especially the case in a bay window which, by its design, was installed to do just this without increasing the overall footprint of the property. 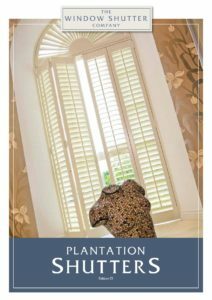 The examples shown show the bright, clean finish that shutters offer and enhance the overall décor without overpowering the room. Check out some of our work that we have completed over the years and also see our reviews on Checkatrade which will offer you complete piece of mind. 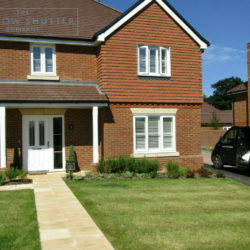 Contact Us now to book your free home design visit.